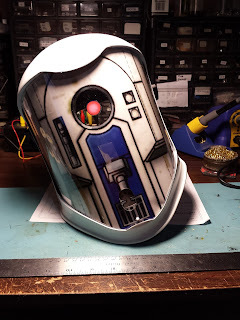 Hackster.io hosted a Star Wars project contest in which I designed and entered these Droid Translator Helmets. I have a few added details to share here that didn't fit into the submission. If you haven't yet, read the main project page at Hackster.io . 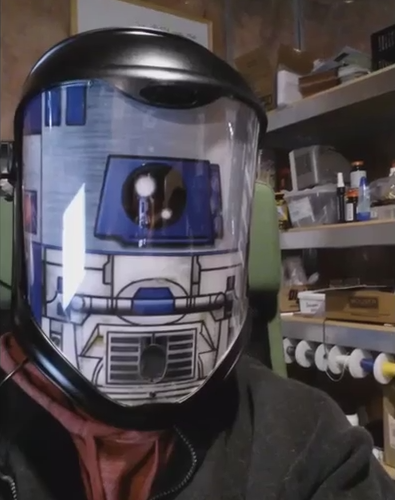 Look like a Star Wars Droid! Sound like a Star Wars Droid when you talk! 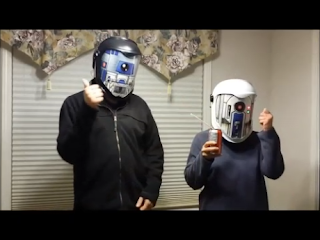 Understand other Droid helmets (by hearing their voices when they talk)! 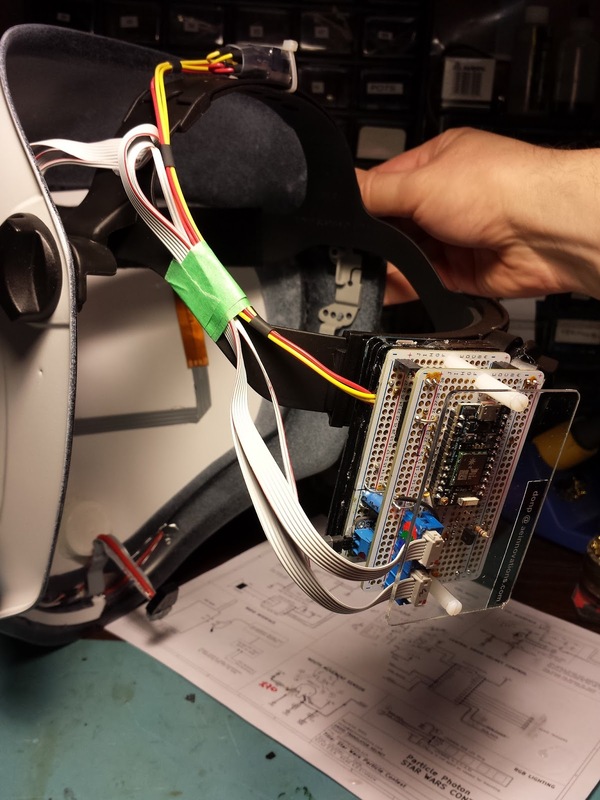 Each helmet is built around a Particle Photon which controls everything, including coordinating the helmets' transmissions and status via UDP broadcasts over wi-fi. The Photon made this part ridiculously simple to implement. 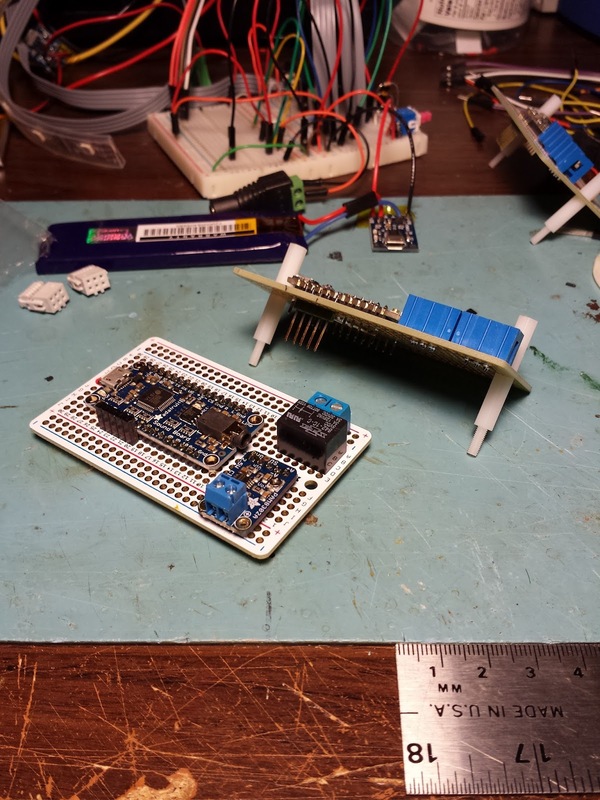 Prototyping carefully and an attention to detail is the key to building something once. Generally speaking, if you make things small you give up making them accessible and easily debugged. So the first version can look big an ugly, but it's where all the early proofing happens. 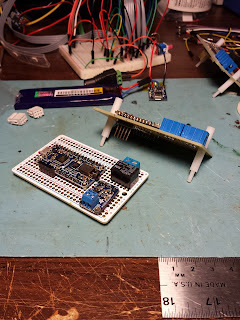 I built the electronics using the Adafruit Perma-Proto Half-sized Breadboard PCB. 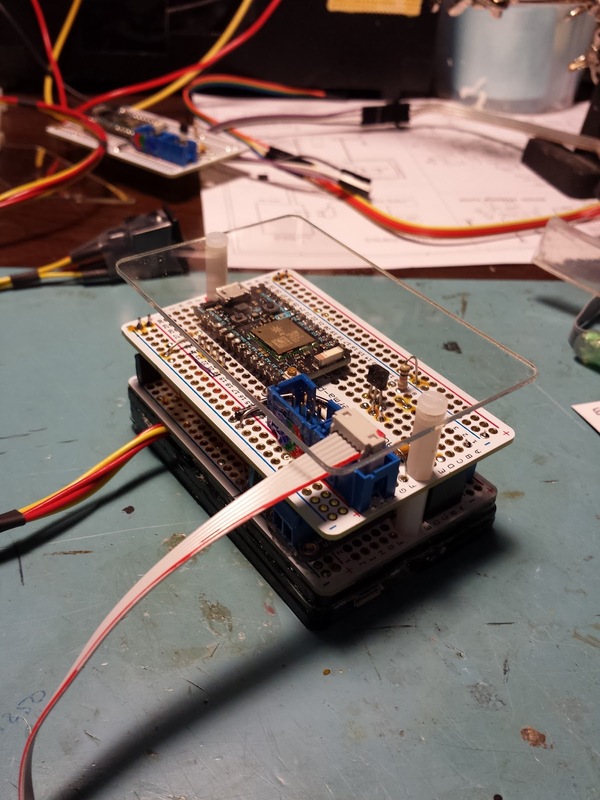 These are smartly designed - they have a layout that mimics breadboard buses. Not only that, there is no soldermask on the bottom, allowing easy cutting of traces when needed. Also, the hole sizes are generous - so even thick leads fit fine. I needed to keep the electronics small, so I built three layers vertically, using the holes in the boards with standoffs to stack them. Pin headers mated the layers to each other to route power or other signals as needed. When stacked, they mated together. The bottommost layer holds the batteries. 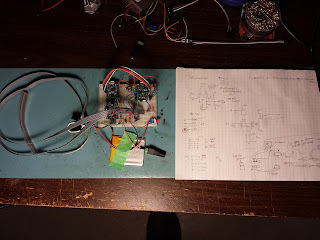 I was able to cram a small battery charger board into the space which makes things convenient. Hook-and-loop tape was used anywhere I could get away with it in order to make things not entirely permanent and repositionable just in case. Without some careful planning and good use of connectors and wiring only what I needed to, I would have had a much larger bunch of messier electronics to deal with and I doubt I could have fit it all onto a single helmet. For full details including download of design files and other resources, go to the project page at Hackster.io.